The grand Kensington building now known as The Milestone Hotel & Residences began life as three separate Victorian townhouses. 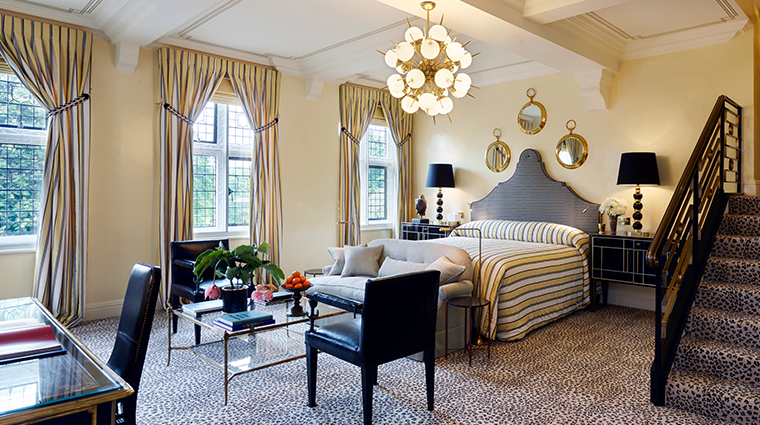 Converted in 1922 (with the second and third properties added in 1929 and 2000, respectively), the place retains an air of homeliness — albeit of the most luxurious variety — that is difficult to find in a central London hotel, especially one in such an enviable location. 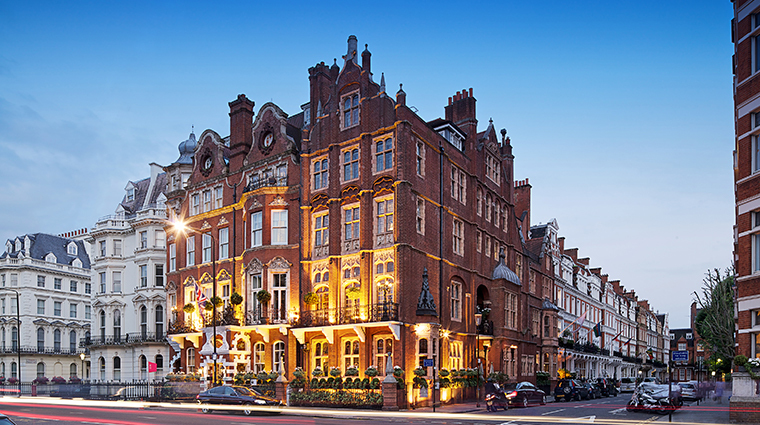 Milestone is located across the street from the famed Kensington Gardens and a short walk from the clothing shops on Kensington High Street and the antique emporiums on Kensington Church Street. It’s a buzzy neighborhood, but inside the Milestone quiet elegance reigns. With a staff-to-room ratio of 109 to 62, Milestone has employees who are ready and willing to go the extra mile, from the concierge’s London events newsletter to the team assembling signature picnics and midnight snacks. 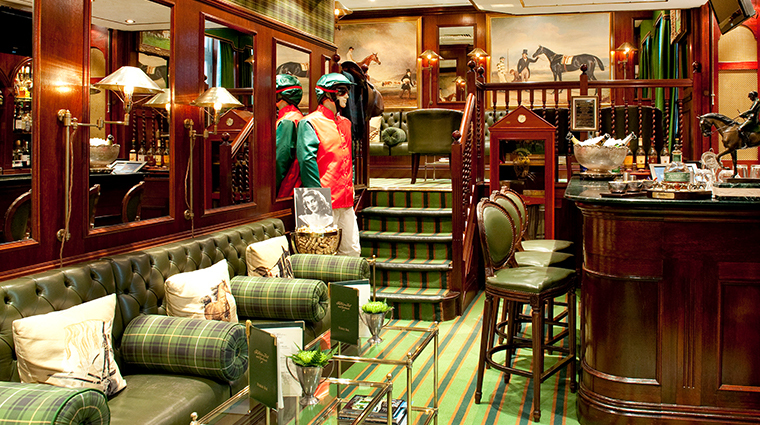 Common areas (the lobby, lounge, Stables Bar and Cheneston’s Restaurant) have a cozy English feel to them. 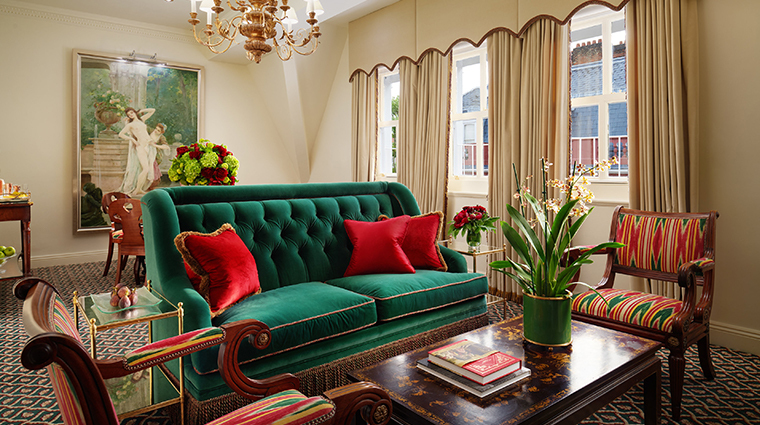 Sink into a deep plush sofa while sipping afternoon tea or a Milestone Old Fashioned and you’ll feel like you’re enjoying the hospitality of a particularly welcome lord and lady of the manor. The Milestone has a chauffeur-driven Bentley for hotel guests and can be used for local shopping trips, airport transfers or for viewing the city in style. While you might not expect to find a spa and fitness center in such an intimate luxury hotel, the basement actually houses a petite but fully equipped gym, sauna, treatment room and resistance pool. Pets are more than welcome to stay at the lavish hotel, with treats including custom-made pet beds, food and fresh mineral water and even birthday celebrations and taxi service. This family-friendly hotel is partnered with The Hotel Nanny, allowing parents to have some adult fun in the city. These spa and fitness center are accessed only from guest room floors so you won’t be sharing the space with many others. 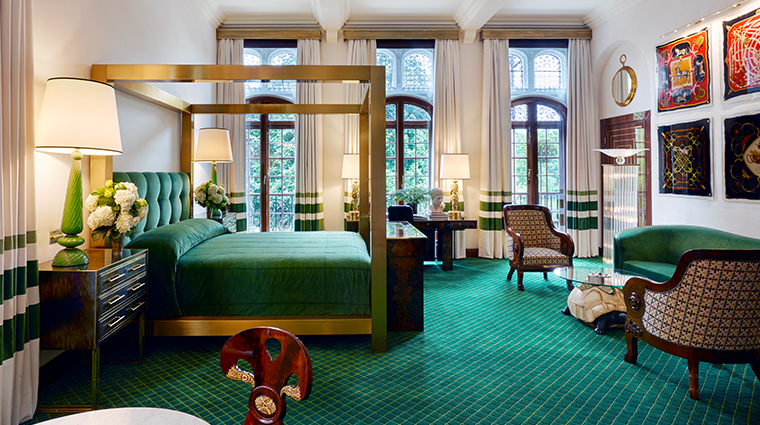 While each of the rooms and suites is unique, both in décor and layout, common themes include statement mirrors, original artworks and a luxurious use of fabrics on walls, floors and furniture. Much is made of some unique original period features— think carved wood ceilings and intricate stonework windowsills — but that’s not to say the Milestone is fussy or old-fashioned. 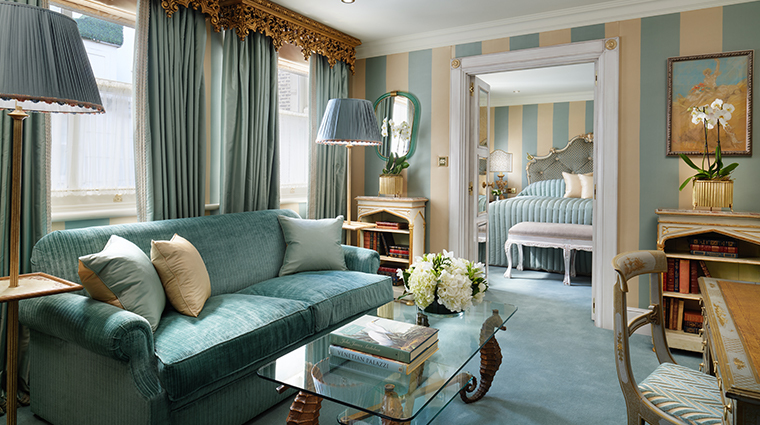 Seven or eight bedrooms are refurbished each year, allowing the London hotel to keep pace with changing interior design tastes. It’s up to snuff technologically speaking, too, with complimentary Wi-Fi access throughout the hotel, iPod docking stations and DVD and CD players with in-house music and movie libraries in every room. Stables Bar is named after its location on the site of the property’s former stables and is open for drinks and snacks all day. The courtyard area the horses would have walked through to get from the street to their stalls is now an elegant conservatory, where you can take afternoon tea or enjoy a candlelit drink once darkness falls. 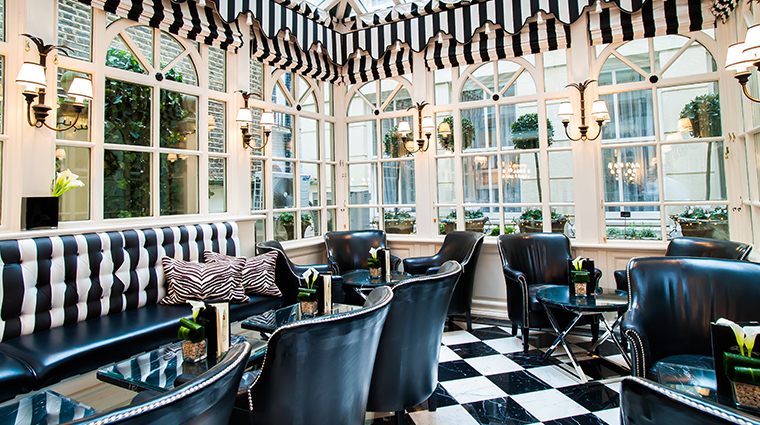 Tea, which is also served in the lounge, is a traditional English affair, with finger sandwiches, freshly baked scones and a decadent range of pastries. In a helpful nod to modern times, however, entirely gluten-free teas are available, too. 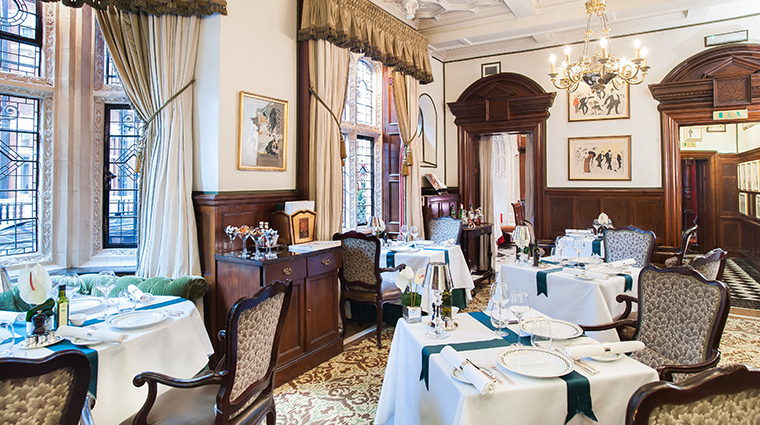 Cheneston's Restaurant has a traditional English feel to it as well, but in a decidedly non-stuffy style. You’ll find homely staples like chicken pot pie and Caesar salad on the à la carte menu alongside fancier treats such as Orkney scallops and Gressingham duck breast with fondant potatoes and balsamic jus. Go ahead and order something from the bar menu — a club sandwich or posh fish fingers, say — and enjoy the elegant surroundings of Cheneston's without committing to a full-on dinner experience.